With an open-plan kitchen-diner with added family area, there's plenty of space for that all important quality family time. The Lounge comes with elegant French doors allowing access the private, south-west facing rear garden, the separate dining room has a beautiful bay window that helps paint that picture of heart-warming family meals. The study provides a great work space that can easily accommodate a desk and additional storage space whether used for business or leisure. 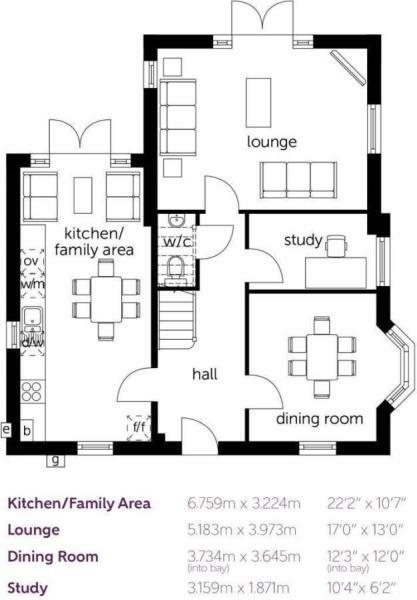 The first floor accommodates 4 grand bedrooms. 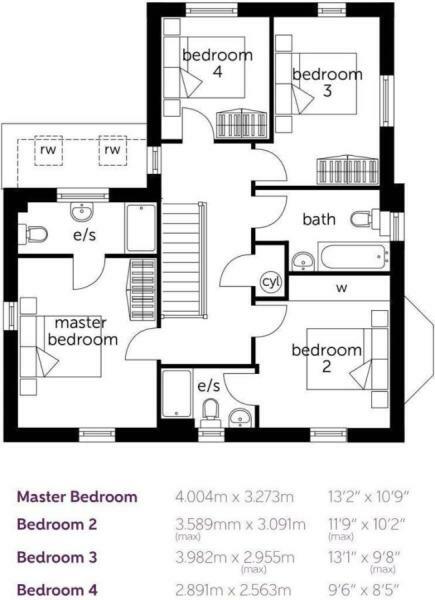 The master suite comes with fitted wardrobes and its own en-suite and each bedroom comes with a TV point as standard. The Nerine benefits from a detached single garage and off road parking. As a traditional market town, Banbury benefits from a quaint pedestrianised high street, lined with independent retailers and charming pavement cafés. Stretching from Banbury's traditional market place is the much loved Old Town which displays a vintage flair with antiques stores, delightful tea rooms, classic book shops and even a Victorian 'Olde Sweet Shoppe' to be admired. For everyday retail therapy, the Castle Quay Shopping Centre offers a host of high street brands and well-known fashion labels in a modern shopping environment, just six minute drive from home. Disclaimer - Property reference NerineApril. The information displayed about this property comprises a property advertisement. Rightmove.co.uk makes no warranty as to the accuracy or completeness of the advertisement or any linked or associated information, and Rightmove has no control over the content. This property advertisement does not constitute property particulars. 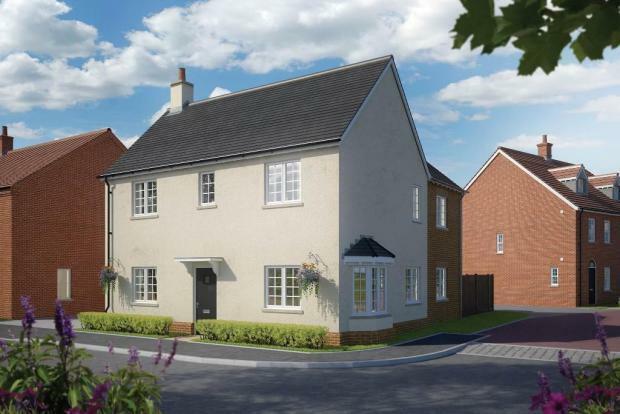 The information is provided and maintained by Ashberry Homes (South Mids). Please contact the selling agent or developer directly to obtain any information which may be available under the terms of The Energy Performance of Buildings (Certificates and Inspections) (England and Wales) Regulations 2007 or the Home Report if in relation to a residential property in Scotland.